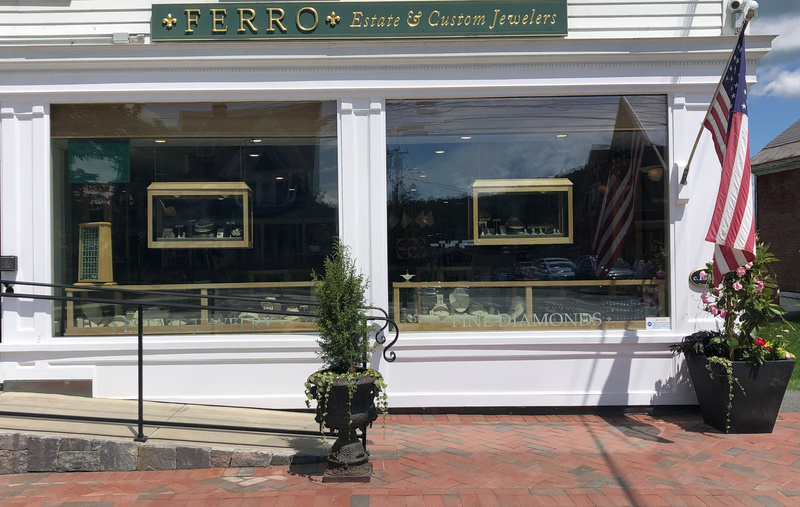 A unique design and fine stones. 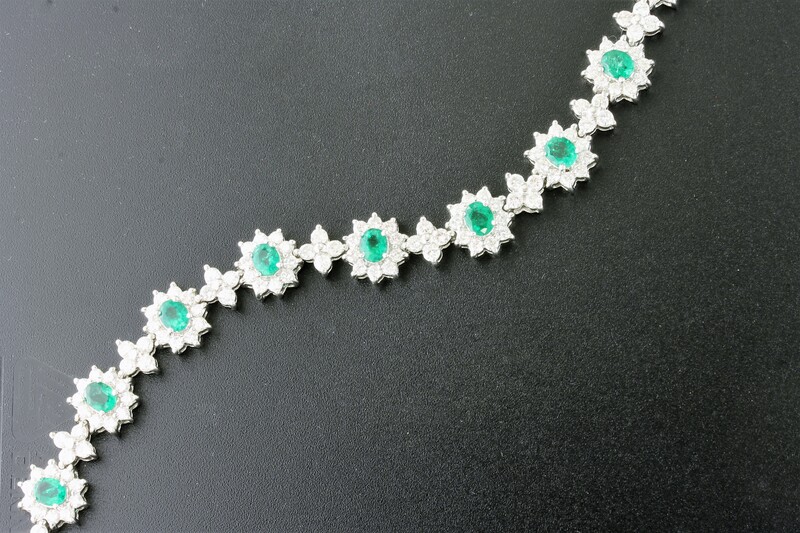 Lush emeralds surrounded by the glimmer of diamonds. 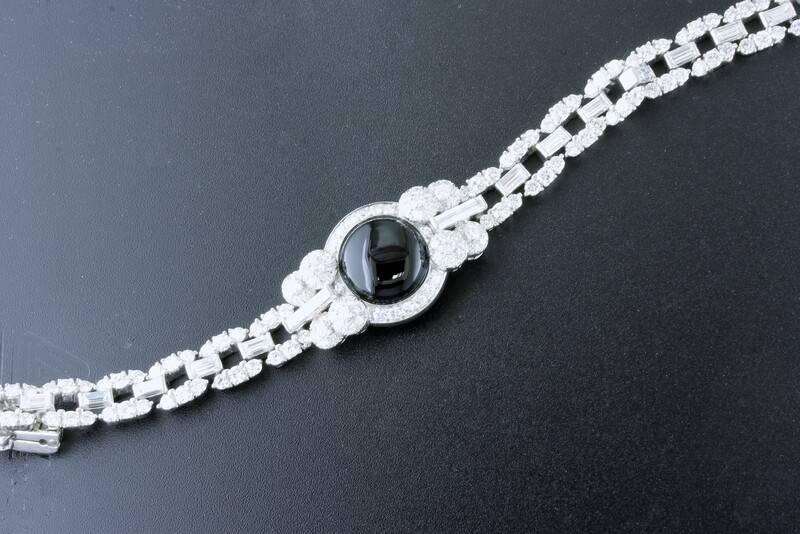 This bracelet is a real stunner! 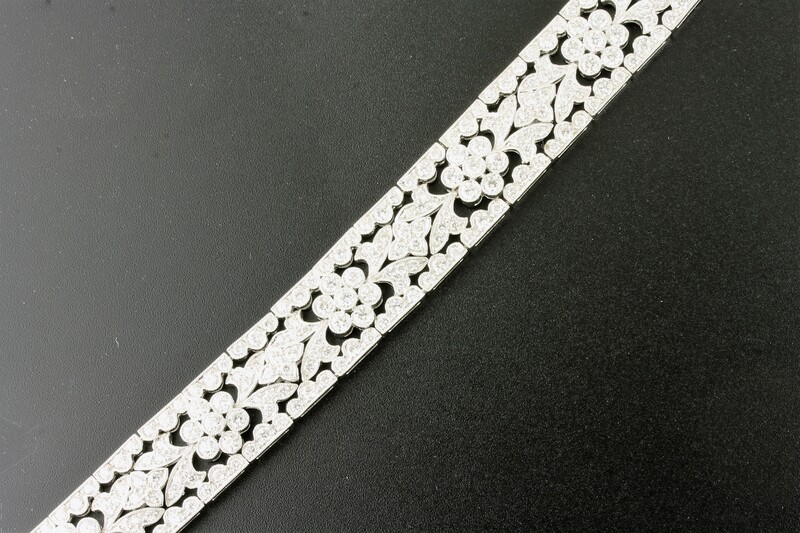 This estate bracelet has beautiful floral filigree detailing with the sparkle of diamonds. These will turn some heads! Luminous rubies and sparkling diamonds in a unique sunburst spray. 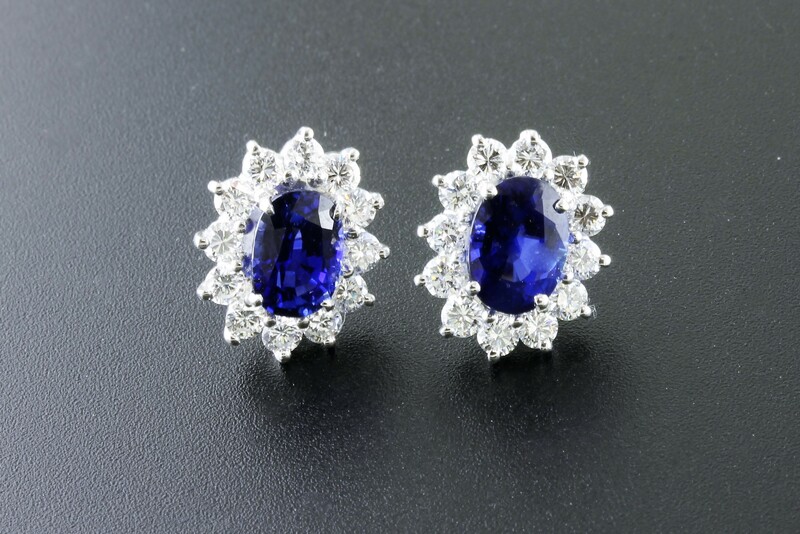 Unique and elegant earrings set with fine diamonds and richly hued sapphires. 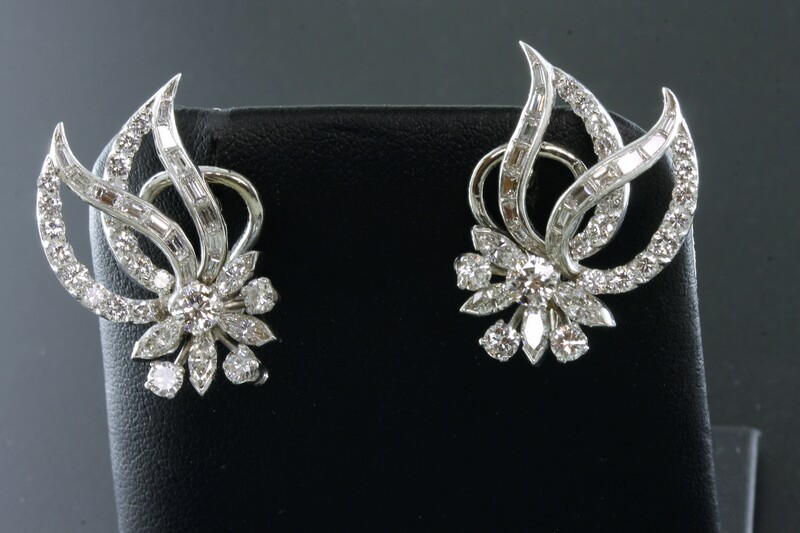 Elegant platinum and diamond earrings from the 1940's. 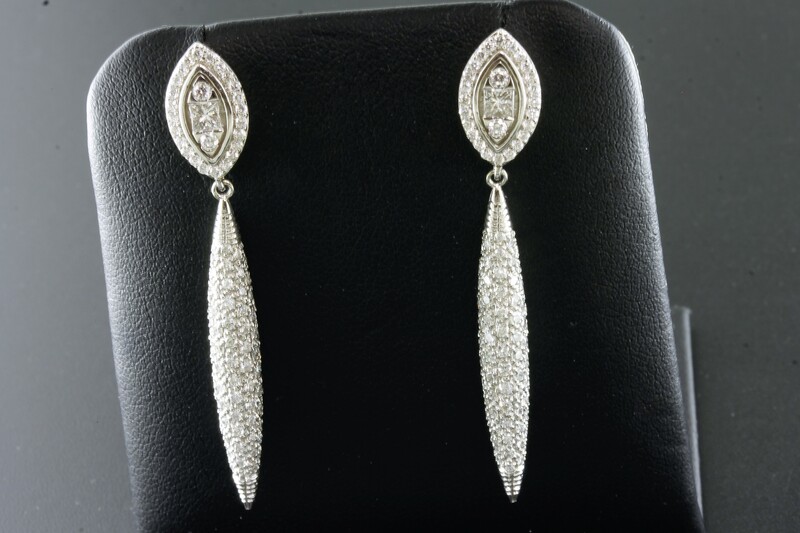 Fabulous swinging earrings send flashes of diamond glitter throughout the room! 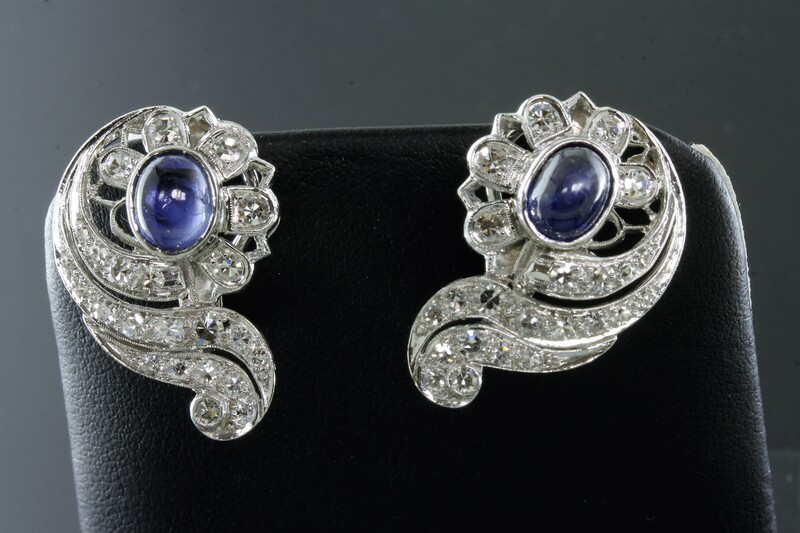 Let these glorious earrings set the tone for a special night on the town! Luscious sapphires surrounded by glittering diamonds. 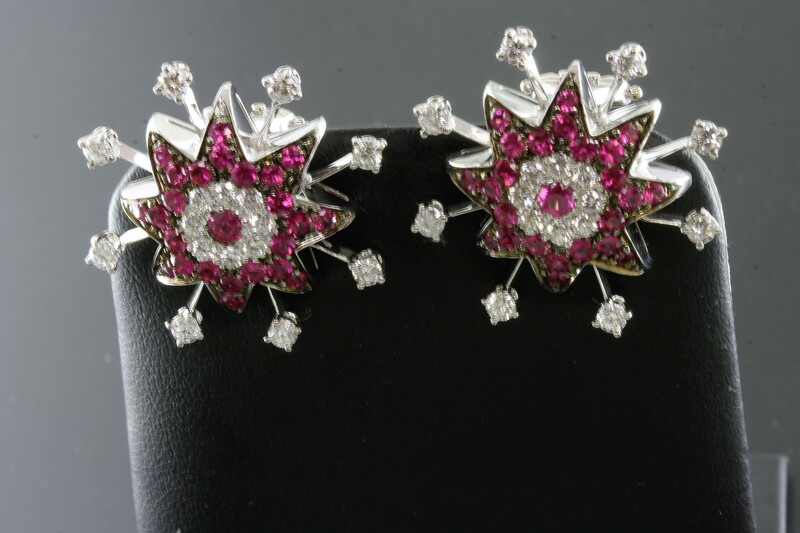 These estate earrings have the "WOW" factor! 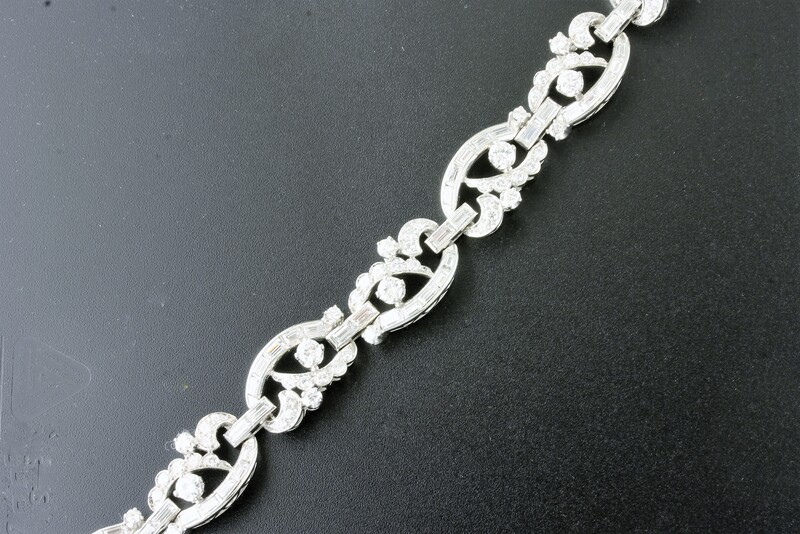 A stunning piece from the past! 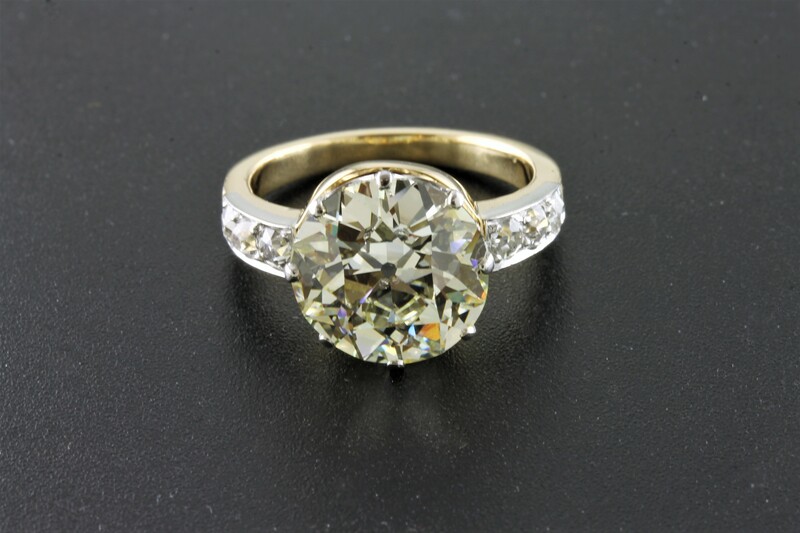 Handmade in 18kt yellow gold and platinum with a magnificent Old European cut diamond.